All ready to go tomorrow in Room 120 at the Wam show. Yes it was good to meet and put faces to names in the (rather small) CU gathering at 12noon in sunbeamgls' room at Kegworth. I don't know quite why but I expected more CUers to be at the show! The Isoplat display was impressive, Neil. Lovely to see them still in use. 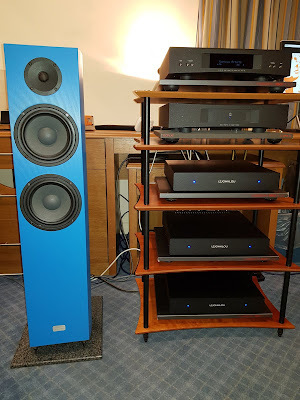 I too liked the speakers you had playing, the blue ones. I hope you got the sale you wanted. 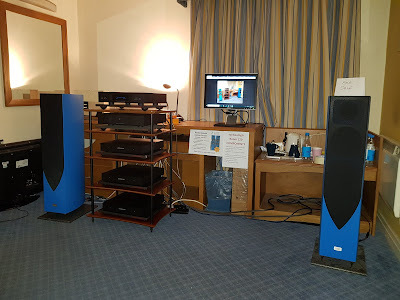 Unfortunately, my Townshend dct300 rca i/cs failed to sell in the bring-and-buy, so I shall advertise them again. I thought £225 a reasonable price but maybe Brexit is frightening people. However, I digress. The photo thread on Wigwam is great. And there were nearly 500 visitors to the show! That's excellent. Well done, Neil, for taking the effort and time (and expense) to exhibit. Wouldn't it be great if there was a fully stacked Hark at the show in 2020? You don't have to be a Wammer to exhibit, so let's see some unofficial Cyrusness next year? If anyone's up for this, the application is open for 2020. Over 40 volunteers already. 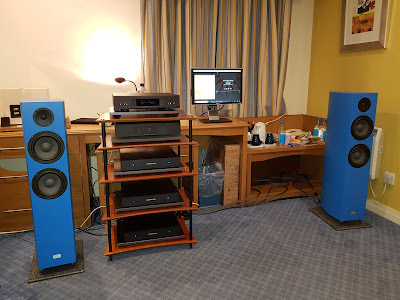 One of my fav post Scalford comments was 'I don't like Linn electronics but those speakers sounded superb'. Brilliant!